During our work on the 1994 mod, there are always new things you can learn. Apart from new experiences on the technical side like modelling joint lines, you also learn a lot about the season itself and the teams and drivers involved. Today, Dahie was told a story about the Pacific Grand Prix team, that seems to be quite a weird coincidence. It took place during the San Marino Grand Prix but as the deaths of Ratzenberger and later Senna dominated the headlines, hardly anyone has ever heard of it. As 1994 was a time when the Formula 1 was not as professional as it is nowadays, the small teams such as Minardi, Simtek and Pacific were desperately looking for sponsorship money which resulted in different liveries from race to race, which you can see in this post concerning the Simtek team. 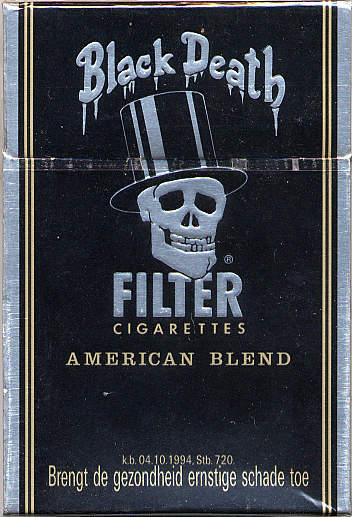 For the race in Imola, Pacific Grand Prix has persuaded a cigarette company called “Black Death” to sponsor the team. Their logo featured a skull and apparently a crossbone, which cannot be seen here though. The “Black Death” company never appeared in Formula 1 after this incident. Quite an ironic story, isn’t it? Thanks to Felix Schönhofen who brought this story to our interest. maybe you have found these photos but i am just trying to help you as much as you can. again sorry for talking for something irrelevant to your post. @ktg: I just klicked on one so far and didn’t know it, so I guess they can help later. Right now we do only the A-version from the first 4 GPs. They had the skull and crossed bones 🙂 – But the colouring and names of these brands, indeed is quite ironic ! Oh, yeah, good find. Either way it’s quite ironic as you said.